Locally Owned. Locally Operated. Since 1961. Trust the experts at your local Good Neighbor Pharmacy to work closely with you to match your needs to the most appropriate equipment and supplies, teach you safe and proper usage and answer any questions you may have. To view our full catalog of Home Healthcare supplies, visit gnphomehealthcare.com. Diabetes affects people at every stage of life. Living well with diabetes can be challenging, but with the right management and treatment, it’s possible to lead a full, active and successful life. 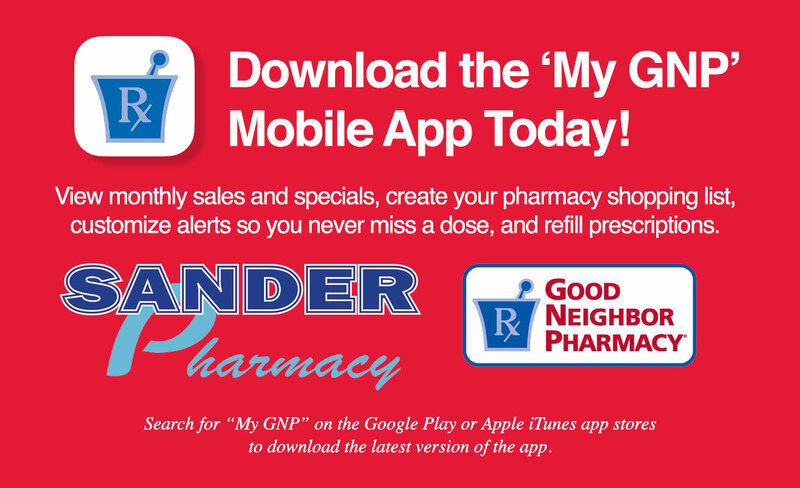 Your local Good Neighbor Pharmacy® is here to help. Information — We’re here to answer your questions: How many times a day should you test your blood sugar? Is there a less expensive generic alternative to your medication? How does exercise affect your blood sugar? Education — From medications to monitors, we can help you sort through your options and put together a plan for reaching your diabetes management goals as easily and effectively as possible. Medication reviews — We can conduct a complete review of all the medications you take, including prescribed medication and any herbal or over-the-counter medication you may take. This review could identify drug interactions, as well as unwanted or dangerous side effects of combining certain medications. A connection to other health care professionals — Talk to your pharmacist about other health care professionals who may be especially helpful to people with diabetes, including ophthalmologists, podiatrists, diabetes educators, dietitians and more. Living with diabetes doesn’t have to be daunting. A proactive approach to managing your medications, exercise and diet can help you maintain a full and healthy life. Your local Good Neighbor Pharmacy can help you every step of the way. Now you can enjoy great cost-savings on name brand and generic medications, along with the customer service and personalized care that only a locally-owned pharmacy can offer. Just show your Prescription Savings Club card at any participating Good Neighbor Pharmacy® nationwide. Through the Good Neighbor Pharmacy Prescription Savings Club, you can save on more than 5,000 name brand and generic medications at your locally-owned participating Good Neighbor Pharmacy. Your club card is valid at over 3,200 participating Good Neighbor Pharmacy locations across America. Your local Good Neighbor Pharmacy can help establish and maintain a respiratory therapy program for you, if you or a loved one suffers from asthma or COPD, chronic obstructive pulmonary disorder. In addition to managing your medications, we can help ensure you receive the treatment you need to manage your symptoms.